Having an estate plan in place can offer reassurance that your assets will be managed according to your wishes, both during your lifetime and after you pass away. While many people think of wills as the centerpiece of an estate plan, wills can be contested and have to go through a lengthy probate process. Instead, many people will use a trust to transfer assets to their loved ones. There are several reasons why you might decide to establish a trust. Accordingly, there are many types of trusts, each corresponding to a different goal or financial situation. Understanding how the different types of trusts work can help you decide which one to use in your estate plan. A trust is a legal arrangement between two parties: the trustee and the trustor (sometimes also called the settlor or the grantor). The trustor is the person who establishes the trust and transfers assets into it. The trustee is the person or entity responsible for managing those assets according to the wishes of the trustor. Often the trustor will also be the trustee, or one of a number of trustees until their death, of course. Similarly to a will, a trust can have beneficiaries. Those beneficiaries may be your spouse, children, other family members or even close friends. You can also name a charitable organization as a trust beneficiary. Those named as trust beneficiaries are entitled to receive assets from the trust, based on how you (the settlor) direct the trustee to distribute them. Funding a trust occurs when you transfer assets into the trust and under the control of the trustee. Trusts allow you to prepare for the future of your loved ones. “A trust can be a critical part of any estate plan, especially if you have small children,” says Paul T. Joseph, attorney, certified public accountant (CPA) and founder of Joseph & Joseph Tax & Payroll in Williamston, Michigan. He adds that they’re also helpful if you have older children who are “not capable of handling and managing the assets contained in the trust.” The stipulations you outline in the trust can help your beneficiaries use it wisely. Before diving into specific types of trusts, it helps to understand the two broad categories of trusts. Revocable trusts, also referred to as revocable living trusts, allow you to maintain control of your assets during your lifetime. 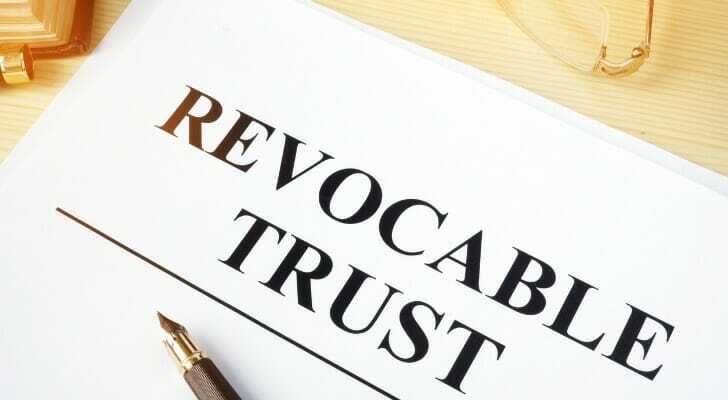 You can change or dissolve a revocable trust if necessary. (That’s why they’re called revocable trusts you can “revoke” them.) For example, if you get divorced or acquire new assets, you may need to update the terms of the trust to reflect the consequences of those events. A revocable trust offers flexibility, since the transfer of assets and the guidelines you’ve specified for the handling of those assets doesn’t become permanent until you pass away. With a revocable trust, you have the option to name yourself the trustee or co-trustee and choose someone to act as a successor trustee when you die or if you’re otherwise unable to manage the trust. Revocable trusts aren’t subject to probate. That means the assets held in the trust are distributed to beneficiaries without having to go through the probate court. This allows for greater privacy than a will. And it can be more difficult for creditors to claim assets held in a revocable trust in order to satisfy any outstanding debts you may have. Once you establish an irrevocable trust, you cannot change or modify it in any way. If you transfer real estate or other assets you own to the trust, you can’t undo that action. Given that this means less flexibility, why establish one in the first place? Additionally, an irrevocable trust can also remove certain assets from your estate, sheltering them from estate and gift tax. That may be appealing if you have a large estate and need a way to minimize tax liability on those assets. 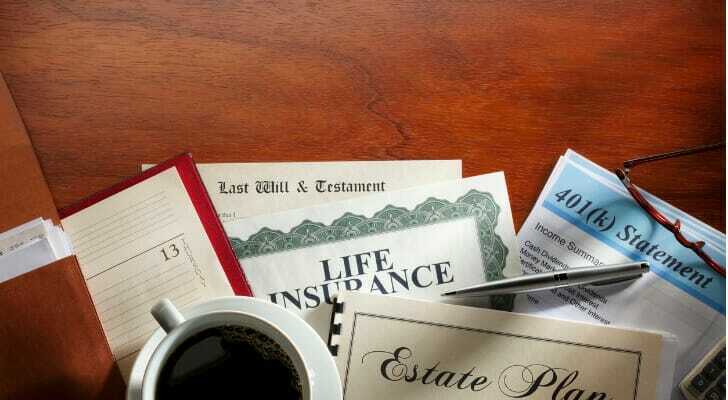 Beyond those two broad categories, there are a number of different specialty trusts you can incorporate into your estate plan. The type of trust that’s appropriate depends largely on what you need the trust to do. A marital trust (or “A” trust) can be established by one spouse for the benefit of the other. When the first spouse passes away, assets in the trust, along with any income the assets generate, are passed on to the surviving spouse. A marital trust would allow the surviving spouse to avoid paying estate taxes on those assets during their lifetime. The surviving spouse’s heirs, however, would be responsible for paying estate tax on any remaining trust assets that are eventually passed on to them. Married couples may also establish a bypass or credit shelter trust (also known as “B” trust) to reduce the estate tax impact for their heirs. This is a type of irrevocable trust that transfers assets directly from one spouse to another at the time of the first spouse’s death. The surviving spouse, however, doesn’t hold the assets directly. The trustee manages them instead, which allows those assets to be excluded from the spouse’s estate. When the surviving spouse dies, any remaining assets goes to their beneficiaries, free of estate tax. A charitable trust helps you to create a legacy of giving within your estate plan. There are two types of charitable trusts you can establish: a charitable lead trust and a charitable remainder trust. A charitable lead trust allows you to earmark certain assets for a specific charity or charities, with the rest of your assets going to your beneficiaries when you pass away. A charitable remainder trust allows you to receive income from your assets for a set period of time, with any remaining assets or income going to a charity that you designate. If you’d rather transfer assets to your grandchildren than your children, you can choose a generation-skipping trust. This type of trust lets you pass assets to your grandchildren, allowing your children to avoid paying estate taxes on those assets in the process. At the same time, you still have the option to allow your children access to any income that the assets generate. A life insurance trust is an irrevocable trust that you designate specifically to hold life insurance proceeds. You designate the trust as the beneficiary of your life insurance policy; when you die, the policy proceeds are paid into the trust. The trustee then manages the proceeds on behalf of your beneficiaries. The advantage of an irrevocable life insurance trust is that it allows you to avoid estate taxes on life insurance payouts. A special needs trust is designed to help financially provide for a special needs dependent such as a child, sibling or parent without compromising their ability to receive government benefits based on their disability. The money in the trust allows them to pay for medical care or day-to-day needs while also allowing them to remain eligible for government benefits. A spendthrift trust may give you peace of mind if you’re concerned about your heirs frittering away their inheritance. This type of trust allows you to specify when and how principal trust assets can be accessed by the trust beneficiaries, which prevents them from being misused. For instance, you may restrict beneficiaries to only benefiting from the income or interest earned by trust assets, but not the principal amount of the assets themselves. A testamentary trust, or will trust, is established through a last will and testament. Once you pass away, the trust becomes irrevocable. The main function of a testamentary trust is to ensure that beneficiaries can only access trust assets at a predetermined time. A Totten trust, also known as a payable-on-death account, lets you put money into a bank account or other security. When you die, the money that you’ve set aside is passed on to the named beneficiary of the account. If you’re unsure whether a trust belongs in your estate plan, you don’t have to go it alone. “The best way to decide which type of trust is best for you is to consult with professionals who are familiar with how the various trusts work,” Joseph says. An estate-planning attorney can help you form a trust, but it’s also smart to work with a financial advisor who can take a more holistic approach to your finances. Use SmartAsset’s financial advisor matching tool to find a local financial advisor who’s well-versed in the specialties you require. Finally, remember to take care of securing your own retirement. Our retirement calculator can help you quickly see how you’re pacing against your retirement savings and income needs. The post A Guide to the Different Types of Trusts appeared first on SmartAsset Blog.